Do you remember the day or the moment when you decided to homeschool? For me, it was when I realized that play was essential to learning. I knew that my newly diagnosed, apraxic, sensory-terrific child needed activity and play to fuel his mind. All children need this but for him, I knew that nothing else would suffice. I also knew that our local school system was not exactly on board with this way of thinking and that he would be required to sit in a desk most of the day and the real him would never be exposed. Once I realized that an alternative way of schooling was in the cards, I knew I’d have to reprogram my traditionally schooled self to have fun. I mean, really have fun while learning. I was accustomed to sitting at a lab table, or a desk and reading from a book to complete a worksheet, test or the occasional project. How was I going to capture fun, excitement, and energy while still being able to feel like we had met the goals I would have otherwise met by completing a workbook? Challenge accepted. Fast forward 6 years and we find ourselves in the current city of an elementary homeschool co-op classroom at the intersection of reluctant writers, communication struggles and language arts. Whew. If you have kids, communicate in any way, know someone who can’t communicate or articulate well, or have experienced sentence structure, paragraphs or literature, then you know that this could easily spell D-I-S-A-S-T-E-R. Sometimes in the education realm, a common myth is that mastery is to laborious boring curriculum and drills just as homeschooling mom is to denim jumpers. 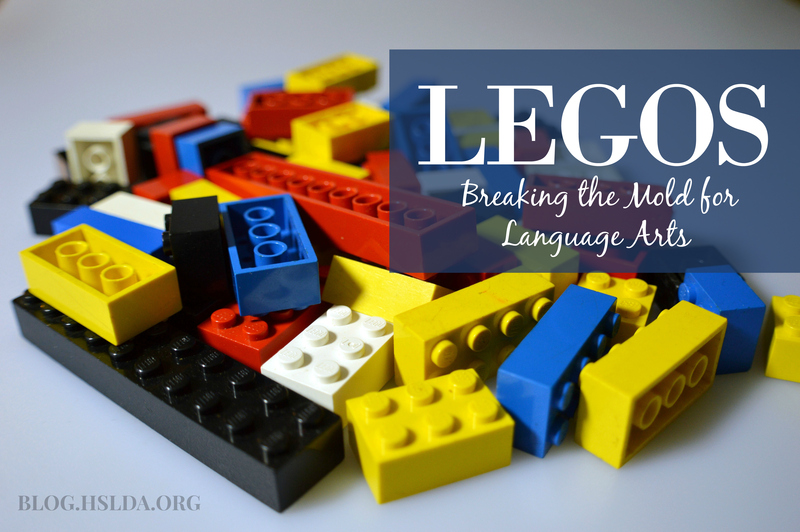 What you might know is that many homeschooling moms don’t even own a denim jumper (it’s completely okay if you do) and what you might not know is that Lego Education has resuscitated my hopes of enjoying a hands-on-approach to conquering some difficult language arts requirements! Despite many different types of learning struggles such as speech and language disorders, autism, apraxia, auditory processing disorder, sensory processing disorder, slow processing, low working memory challenges and more, we are seeing peaked interest and improvement in many areas of language arts. When a student knows they are struggling, it affects their self confidence and overall interest in learning; often this is the beginning of a downward trend in motivation and success. Lego Education has released the StoryStarter Curriculum and StoryVisualizer Software to help you learn to have fun with elementary grades 2-5 and reignite their love of learning. The 22 pre-planned activities are designed to develop skills in public speaking, story elements, language, narrative writing, reading and listening. There is a natural development of creativity, storylines, dialogue and sequencing as the students build on predetermined scenarios throughout the curriculum. If your kids are like mine, they love any chance to incorporate electronics into their lesson plans! The added fun of the StoryVisualizer software and app for tablets is just the icing on the cake for kids! Each child has the ability to integrate technology into their language arts lessons every time they create. Reluctant writers are flourishing and asking to spend hours on this at home. Instead of spending hours with a pencil and paper, they can practice fine motor and organization by adding text and dialogue by typing. This is also a bonus for students who can’t speak at all or clearly. They don’t have to miss out on the fun, the building or the technology as they convey their creativity in comic strip or story format. You can save each activity and turn it into a published work of art at the end of the course. A box of Legos plus an electronic device that results in improved education equals happiness all around! If I told you your struggling learners could love story writing and language as much as they love Legos wouldn’t you be intrigued? Take a break from the books, build a lot of confidence in your student, and enjoy these small, amazing bricks that can help create a strong foundation. If you have been searching for something to add laughter to your literature, charisma to your characters and success to your personal homeschool story, check out the Lego StoryStarter and teach them to have fun with learning! I have the good fortune to see Kristy using the Lego kit & app to teach our co-op. Kids are excited about building – and sharing their stories. Play is the work of childhood. Being able to ignite their imagination is wonderful!! !